You are currently browsing the tag archive for the ‘Wikimedia’ tag. Night. An abandoned palace. The middle of nowhere. Two ghostly figures. Now let your imagination run riot. Created with an interior from Wikimedia, my own backgrounds and textures and a clock from The Graphics Fairy. Linking to Brag Monday. Here are three diverse designs for Christmas, all of which include elements from my favourite vintage source, The Graphics Fairy. This snowman design was commissioned by a hotel that wished to send a card by email to their customers and wanted something with a cheerful snowman and lots of colours. “We want a happy card!” they told me. It’s not the sort of design I usually do so it was a challenge. My customers liked the result which pleased me enormously. It will soon be available to buy online at Zazzle. 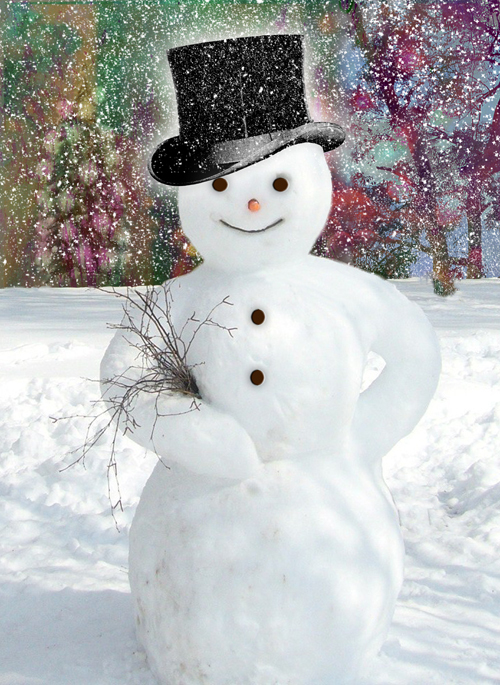 The snowman was cut out from an image on Wikimedia, the top hat is from The Graphics Fairy, and the eagle-eyed will recognize the background from one of my other designs and which I covered with more snow. Every element in this wholly vintage-effect collage is from The Graphics Fairy. I love it, particularly the typography on the toys broadside. 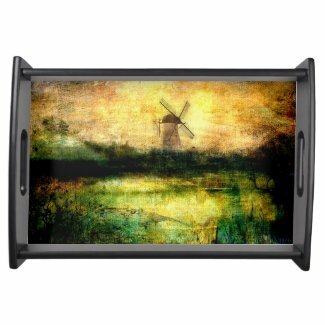 This image is already available at Zazzle. Hands up those of you who know where the musical angel is from! The flourish in the bottom left-hand corner was a freebie from Digital Kiss on Etsy, while the background comes from Deviant Art. I shall be adding it to products at Zazzle later today.